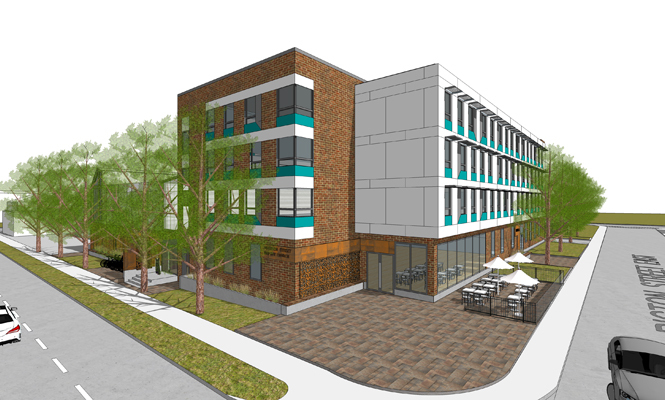 Indwell received approval for a four storey building with 45 units at 500 – 512 James Street North. Indwell is partnering with Hughson Street Baptist Church, which owns the property and will be housed in the first floor and basement. The development has already secured $6.3-million in government affordable housing funding. Both the Church and Indwell are conducting capital campaigns to meet the $17-million overall of the full project. Letters from residents of the North End were overwhelmingly supportive, with many residents delegating to Council to express their support. One resident, who was opposed to the project, expressed concerns about four storey buildings blocking views of the harbour from the escarpment, and the residents she perceives will be living in the building. No dates for construction were provided. Indwell and the Church both state they know of significant donors who were awaiting the Council approval. I like this report. It gives me clearer information compared to the posted video yesterday. Wow, that’s got to be a new NIMBY low. It’s the first time I’ve seen someone try to marginalize diabetics. She forgot to note that this proposal, now approved, could potentially put diabetics within ONE BLOCK OF A SCHOOL!!! For all the one’s that have no understanding what is being built and housed I will clarify. Drug/Alcohol and mental illness.No issues with the problems that they developed through life – But not in a half block radius of a school. It’s obvious the commentators don’t live in the neighborhood and with children’s safety – thrown out the window. Have you ever seen a mental illness person off their medication – I have and there is no reasoning with them. Would you want to see anything happen to a child or elder. Question would be do you have children? Now – for the diabetic comment, is this the only thing you heard on the video? She didn’t say anything wrong, her sentence carried on into that. To bash an elder, shows what type of parishioners you are and that go to that gym. This woman can’t defend herself but there are a lot of northenders that know her well and will stand up for her. It’s affordable housing, not a residential care facility. Your arguments are based upon an inaccurate depiction of the development and stereotyping of potential residents.